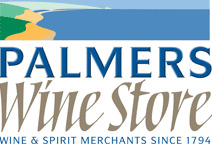 Welcome to Palmers Wine Store.com. A family owned and independent business since 1794, we have built our reputation on the high quality of our wine and our outstanding customer service. We now offer excellent wine online with free delivery over £90 to the UK mainland. We strive to bring you wine of quality, character and value. Wine that reflects its provenance and the people that produce it.